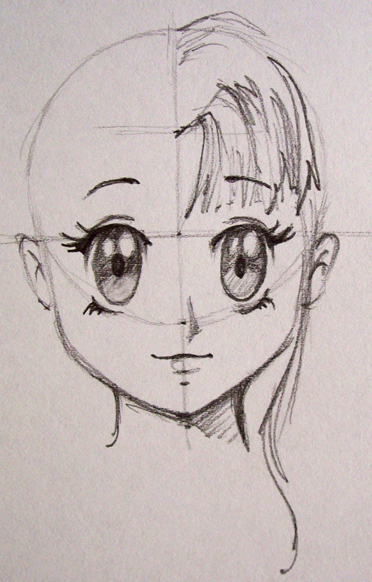 I continue drawing her hair. It will fall over her shoulders. I start erasing any line I won't need for further guidance. 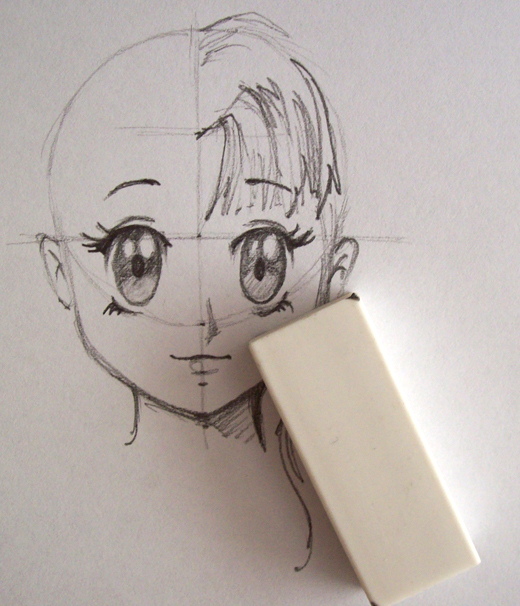 Since they are drawn lightly, without pressing the pencil down hard against the paper, the task is not a difficult one. If I erase something I shouldn't erase, I trace it again.